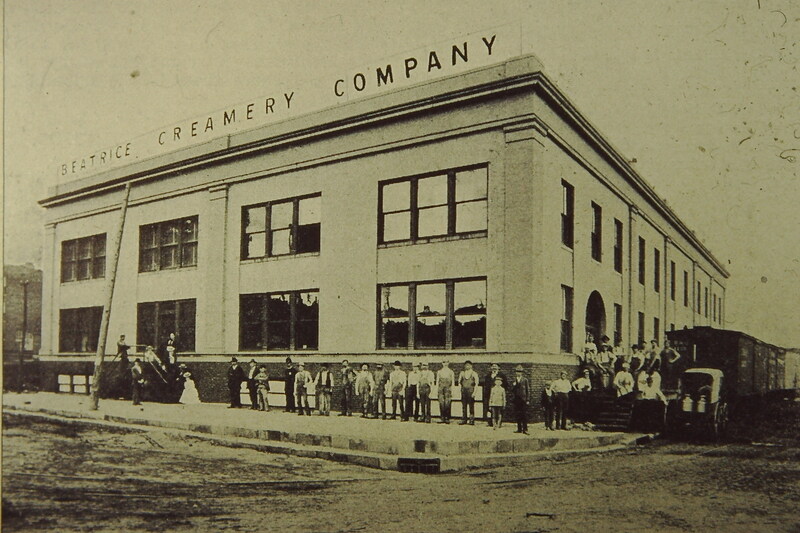 The Creamery stands on the site of the Fitzgerald Block, an ornate warehouse of 1889-1890. 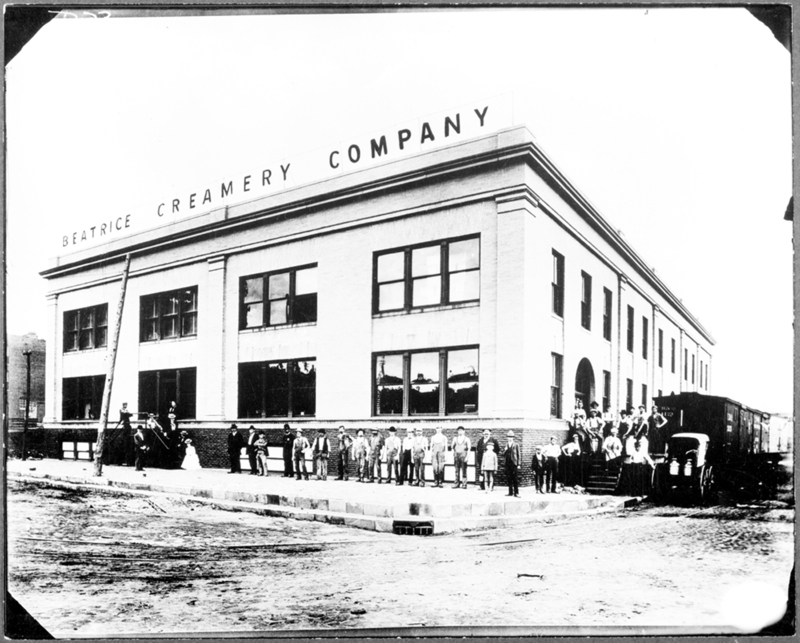 In 1898 the newly incorporated Beatrice Creamery Company had its start in the west half of the Fitzgerald Block. Just months later, a fire broke out in the creamery and destroyed the whole building. Remarkably, the new creamery company and their co-tenant, the grocery wholesaler H. P. Lau, both survived and rebuilt in the Haymarket. Beatrice Creamery Company first rebuilt just two stories in 1900, then added the two upper floors in 1904—a very early example of a common Haymarket occurrence. When the top floors were added in 1904, a Lincoln newspaper described the building as "one of the handsomest factories" in the city, featuring "granite colored hydraulic pressed brick." Beatrice Creamery Company headquartered here only about a decade, building a new Lincoln creamery at 7th and L Streets beginning in 1909. 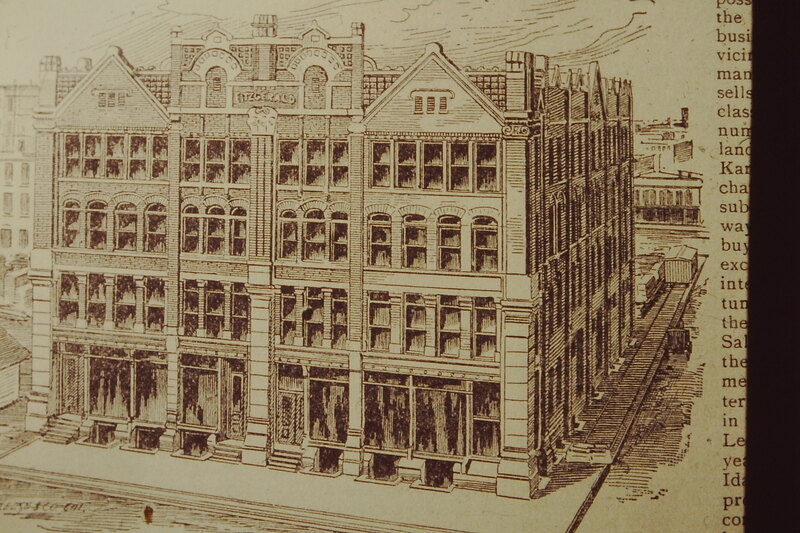 The company moved its headquarters to Chicago in 1913. William Henry Ferguson, one of the pioneering industrialists in Lincoln, was a major stockholder and served as president of the company after the death of founder George Haskell in 1919. 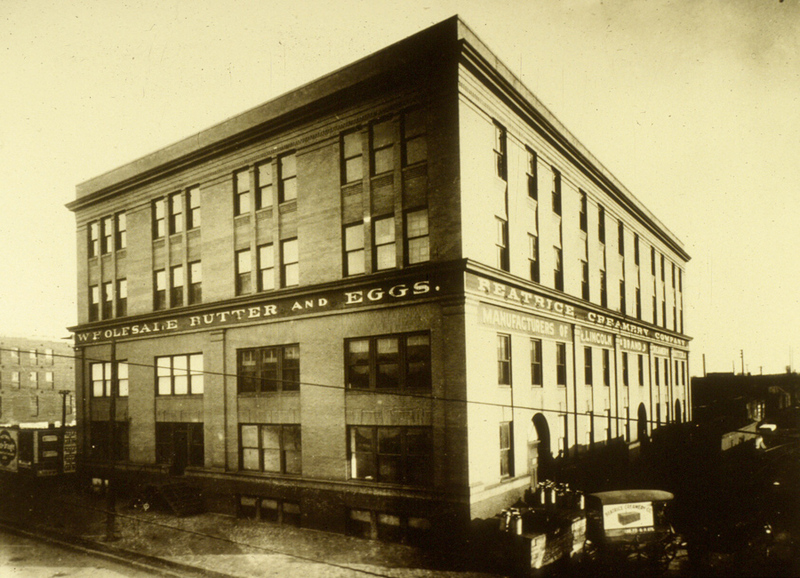 The company continued to grow in Chicago into Beatrice Foods, a major, national food processor. Expansion and diversification after World War II eventually led to a leveraged buyout of the conglomerate, which was split into its component parts and sold off in the 1980s. 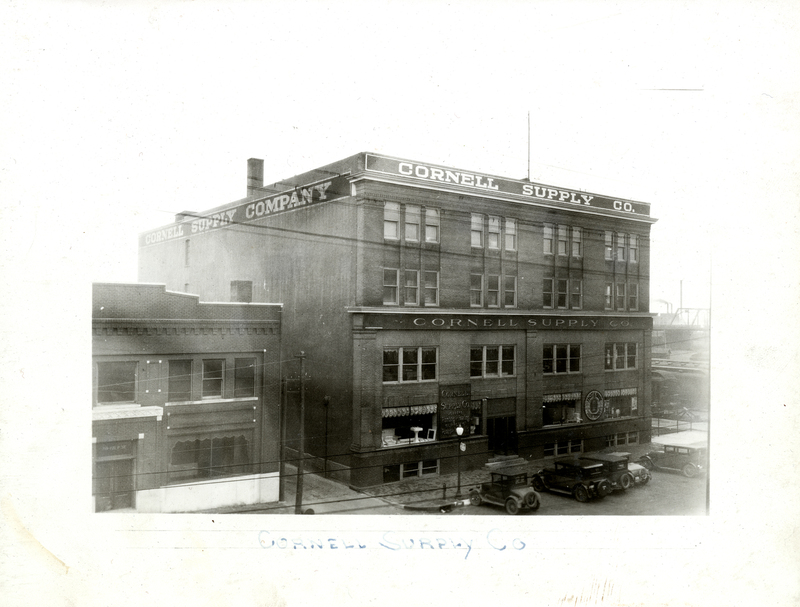 Cornell Supply Company, a wholesale plumbing and heating concern, moved into the P Street building in 1911 and occupied it, along with many other tenants, for decades. Eventually the building housed some of the first “new” tenants in the Haymarket —an antique store, popular restaurant, and hair salon. But a bank failure and neglected maintenance put the building at risk of demolition in the late 1980s. Sid and Cheryl Conner, architectural antique entrepreneurs, rescued the building with a new roof, rebuilt north façade, and creative reuse of some of their largest wares. A spectacular granite and cast-iron staircase from the long-lost Odd Fellows Building in York provides a dramatic connection between the first and second floor shops. Subsequent owners completed the renovation with offices on the third floor and some of the district’s finest residences on the top floor. The building's location is one of the most prominent in the district, at the southern end of the wide portion of 7th Street that serves as a forecourt to Lincoln Station. From May through October, Lincoln’s oldest Farmers Market draws hundreds of vendors and thousands of visitors every Saturday morning, filling 7th Street and spreading throughout the heart of the Haymarket District.